12 supervisors and managers successfully completed the Dacri Accelerated Online Supervisory Development Program. Designed to provide managers the skills to effectively manage their workforce, these individuals participated in a 5 week, highly interactive program. Click here to see the program outline. Earlier this year, 11 other supervisors successfully completed the initial offering of this program. Call me if you’d like to learn how your supervisors can enroll. 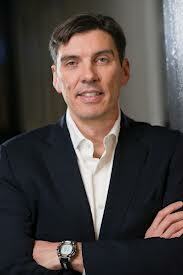 In a moment of anger, AOL’s CEO Tim Armstrong publicly fired one of his employees and news of it went viral. Whether the reason for the termination was justified or not, reacting emotionally and angrily to an employee’s behavior, without carefully thinking through the implications, often results in a bad outcome. Firing an employee in front of hundreds of other employees is never a smart move. Armstrong later apologized. When you fire someone, regardless of the reason, you are taking away their livelihood. Never take it lightly; never do it without a lot of thought; never do it in a moment of anger; and absolutely, never do it in front of other employees. There were apparently a lot of legitimate reasons why Armstrong fired the employee. How he did it was wrong. To learn everything you need to know to effectively manage your staff, including how to terminate when necessary, click Uncomplicating Management. The success of your organization and your success as a manager depends upon having a workforce that is committed to your organization and a management staff that knows how to supervise people. Only then can you meet organizational goals. This self-assessment will provide you a quick evaluation of your organization and workforce and will highlight your areas of strengths and weaknesses. Are you always able to recruit good people? Are you retaining your best employees? Do your injured employees return to work quickly from work related injuries? Are able to retain your best customers? Each year, are regularly getting new customers? Are your customers regularly providing good feedback on your services or products? Do you have confidence that your supervisors are managing effectively? Do your employees feel a connection to the goals of the organization? Do your supervisors regularly recognize & praise their employees when they do good work? Do your employees know they have job security if they are performing? Is your company hitting its financial goals? Sales goals? Are you confident that your employees are doing the right things when dealing with customers? Do you trust your employees and do they trust you? Are things better this year than last year? If you answered at least 14 questions affirmatively, you’re in great shape. 12 or 13 and things are generally OK. Put together a plan to address problem areas before you begin to lose employees and customers. You can’t afford to slip here. If you answered 10-11 affirmatively, then you’ve got a lot of work to do. Get going. Without a rapid turnaround, you face serious problems. And if you answered 9 or less affirmatively, get help fast. You’ve got problems with your employees and customers that are costing you a bundle. A rapid turnaround is necessary before you lose control or worse. This self-assessment was developed by Dacri & Associates. Read more about it in Dacri’s book Uncomplicating Management. Turnover, uncontrolled, can run havoc in an organization. But it can be reduced. Understand why it is occurring. Analyze your existing turnover: when it is occurring and where it is occurring. Once you know this you can develop strategies to correct. Develop your managers. When you have strong managers who know how to treat people, turnover goes away. Training is the most effective tool in reducing turnover. Remember, employees don’t quit companies; they quit bosses. Find out why your people are staying. When you know why your good people are staying, you build upon this. Conduct annual employee engagement surveys. Hire better. Much of turnover comes from poor selection. Hire people who fit. Put in place these strategies and you will begin to see your turnover drop. Drugs and alcohol are all too common. Going out after work for a “couple” or having a drink or two at lunch is a slippery slope that usually leads to big workplace problems. So what should you do when you think that one of your employees—maybe one of your better employees, may have been drinking, particularly when the only “evidence” that you have is the smell of alcohol on his breath? The problem of alcohol and substance abuse in the workplace is prevalent today. According to U.S. Department of Labor, 71% of all illegal drug users are employed. This translates into a problem that nearly every employer must address, and the cost associated with this is staggering. Studies show that those who abuse drugs or alcohol are less likely to come to work, have lower productivity, increased errors, use their medical benefits at a higher level than other employees, and file more workers’ compensation claims. So what can you do? How should you address this workplace problem? If substance abuse is contributing to an employee’s deteriorating performance, ignoring the situation won’t help. It will likely only get worse and have costly—and possibly disastrous—consequences for everyone unless some action is taken. Clinical diagnosis of an alcohol or other drug problem is not the job of a manager and should never be done. However, evaluating work performance is. A key part of every manager’s job is to remain alert to changes in an employee’s performance and to work with employees who are having problems so that it improves. When an employee’s performance begins to deteriorate, for whatever reason, the manager has the right and responsibility to intervene and intervene fast. You do not need to be an expert on alcohol or other drugs to intervene appropriately if substance abuse is suspected since the intervention should always be focused only on the performance problem. From an organizational strategy, you have many options to combat this problem. 1. Establish and enforce policies prohibiting alcohol and drugs in the workplace. 2. Train all managers in both understanding the signs of substance abuse and in addressing performance based issues. 3. Employees should understand that the organization will not tolerate alcohol or drugs in the workplace, but will provide help for those who truly want and need it. 4. And finally, the use of an employee assistance program to support the organization and problem employees can also prove invaluable in addressing these crises. The problem of drugs and alcohol in the workplace is not going to go away any time soon. Managers must ensure that your workforce is both productive and safe. Excerpted from my book, Uncomplicating Management; scheduled for publication on November 1, 2009.